The songs were exclusively played at the Roxy Theatre; West Hollywood in Oktober 1975. Not to be confused with Bruce Springsteen's 1977 studio outtake"I'm goin' back". This was the opening of a four-night (six-show) residency at the club. This first night was a single show and, unknown to Bruce, Colombia Records had reserved many of the seats for media and industry people - a situation that Springsteen gradually became aware of during the show (by the lack of the usual audience enthusiasm) and one that he was very miffed about after the show and then mentioned to the audience at the following night’s shows. Songwriter Carole King was present at this show and Springsteen premiered and dedicated a heartfelt rendition of her 1966 song “Goin' Back” to her. Other luminaries present include Jack Nicholson, Peter Boyle, Robert de Niro, Jackson Browne, Jim Messina and Neil Diamond. It may have been at this show that de Niro heard Springsteen's "you talkin' to me?" schtick that he later famously improvised in Taxi Driver. Springsteen dedicated the song to Roger McGuinn of The Byrds who covered and released GOIN' BACK in 1967. The early 17 Oct 1975 show was broadcast live on Los Angeles' KWST-FM. Bruce covered the song also during a fascinating soundcheck of 60’s songs during the "tunnel of love tour". "Goin' Back" is a song written by Gerry Goffin and Carole King in 1966. It describes the loss of innocence that comes with adulthood along with an attempt, on the part of the singer, to recapture that youthful innocence. Although Goldie (of Goldie & The Gingerbreads) was the first artist to record the song, her version was withdrawn following disagreements with Goffin and King over the song's lyrics. Carole King then decided to record "Goin' Back" herself but ultimately she offered it to Dusty Springfield instead. Dusty went on to have an international hit with the song and consequently, it is her version that is considered the most well known. 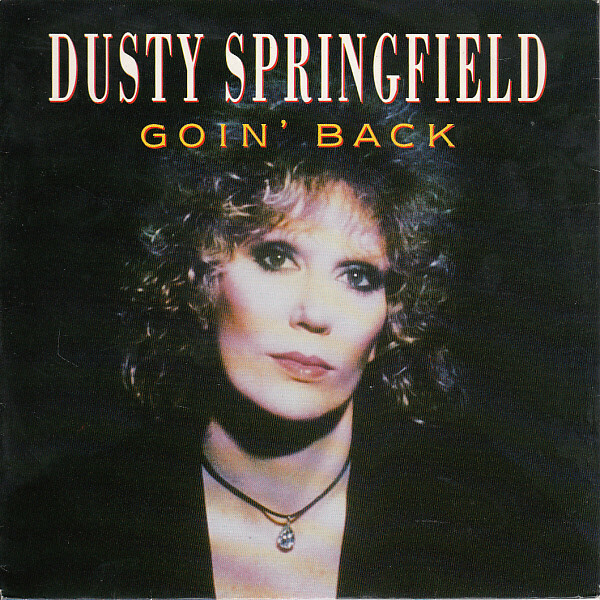 Dusty's version of "Goin' Back" was recorded on June 15, 1966. "Alright....here’s a song....I first heard this band, this is the first one, the first L.A. bands I ever heard....heard it when I was about 15.....and I fell in love with ‘em and I been in love with ‘em ever since.....so I wanna dedicate this to, uh....Roger McGuinn, wherever he is....’cause this is his instrument....."